"Dross" is played during the intro to the site as well. has evolved into something reminiscent of the Machina. 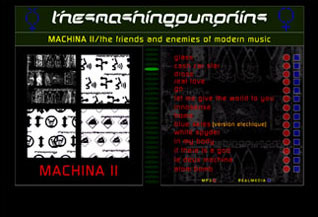 Machina 2 was added in a real audio and MP3 as well. interesting twists look out for ;). 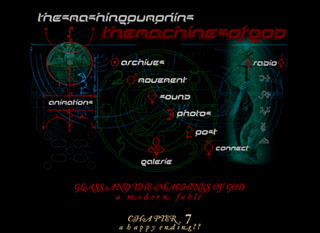 and the meaning of Machina graphic. traditional album, lyric, and non-sp forums are still there. link to a few of the better sites out there. to be continue to grow even in the absence of the band. I look forward to what they have in store for us next.